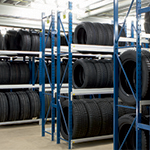 The Europe Racking line of shop fitting is based on our Multisystem shelving. 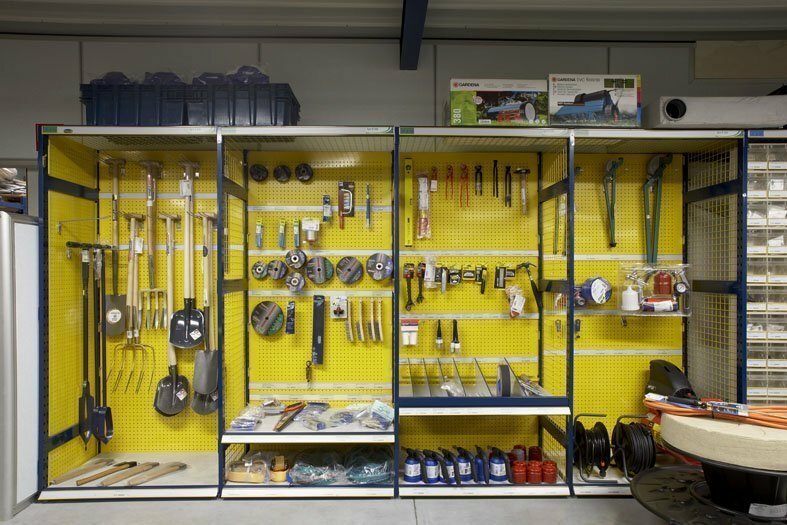 Complemented by a wide range of accessories, our shelving system is well suited as shop fitting. 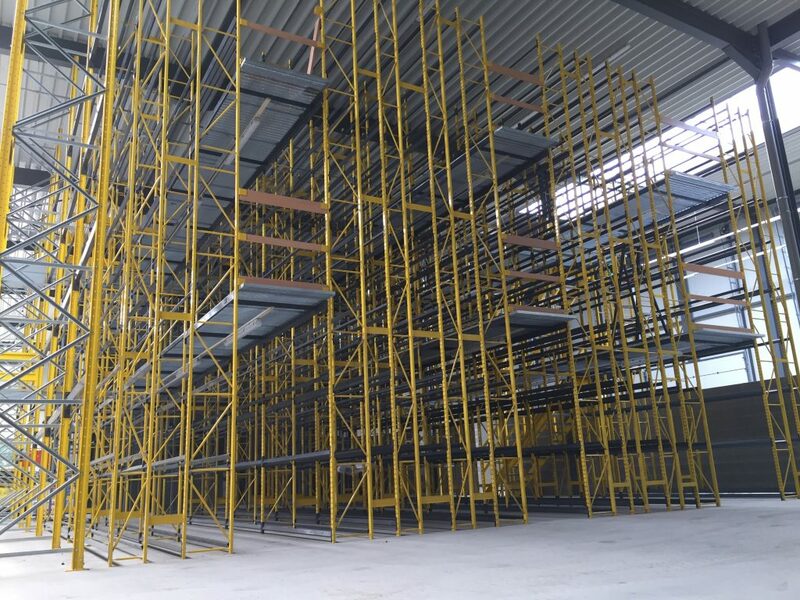 Our shelving is suited for use as shop fitting because of its versatility. 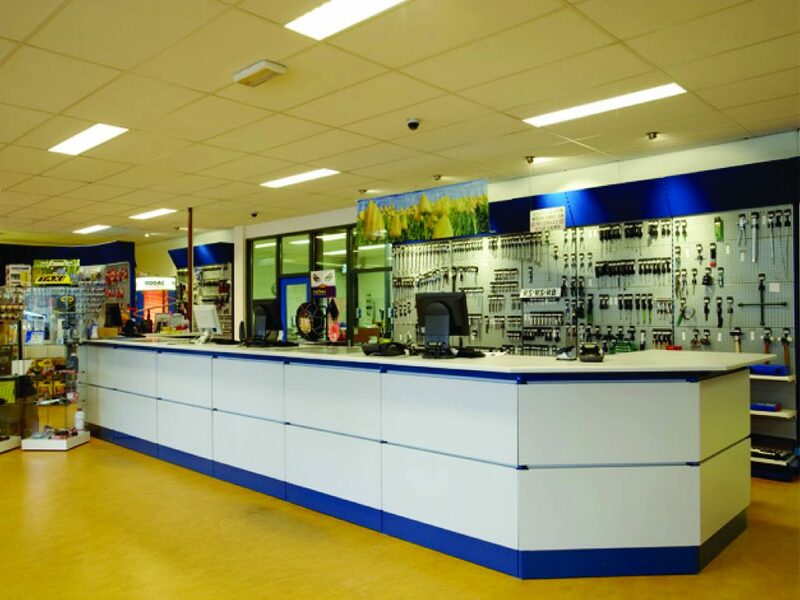 It can be set up to showcase large and small products alike. 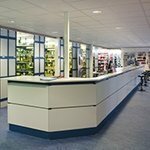 We can adapt our shelving for any product range you might sell. 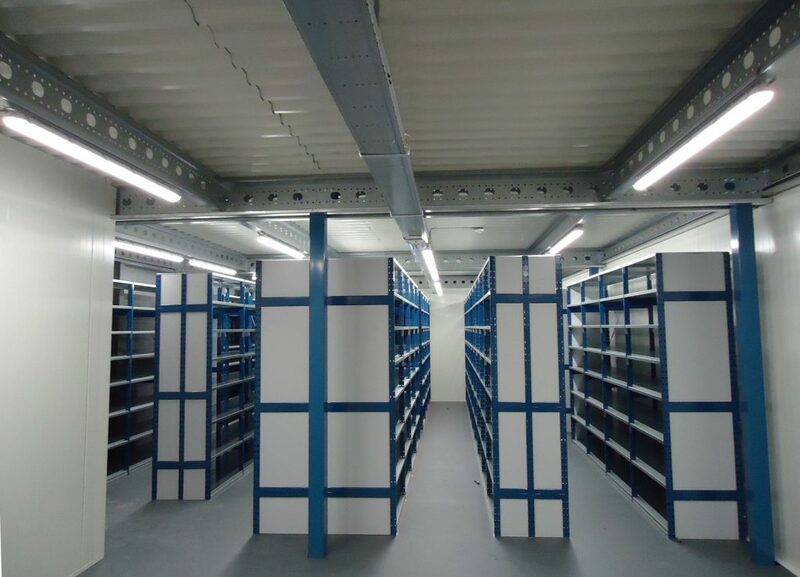 And we can supply our shelving in any RAL colour to match your corporate identity. 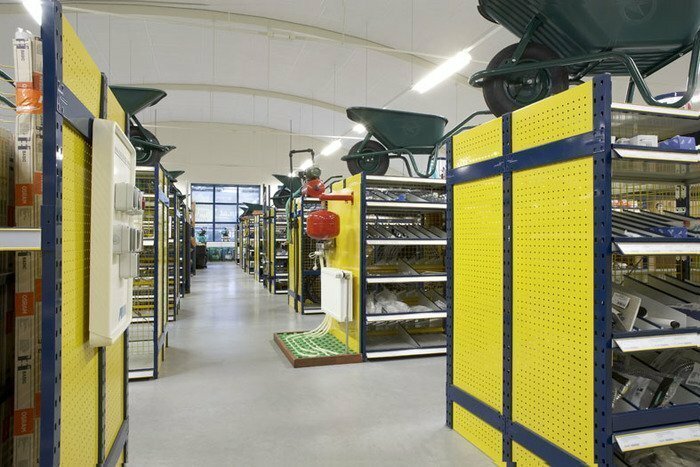 Our shelving units are made from perforated uprights that are assembled to frames by using traverses. 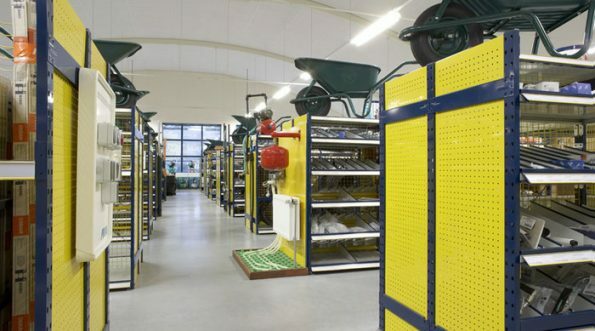 This gives a solid and highly customisable storage system. 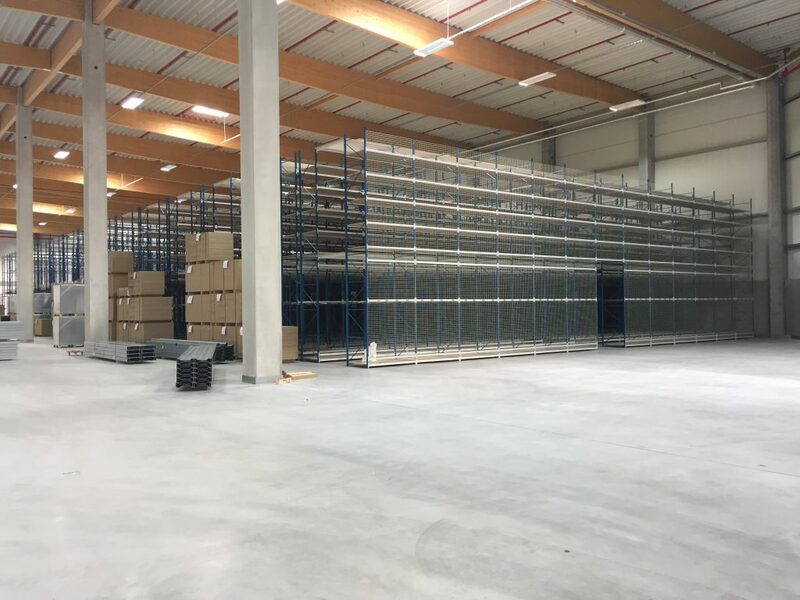 The perforations in the uprights serve as mounting points for the clips that support the shelves. 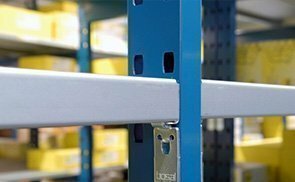 This clip system enables you to easily change the layout of you shelves. 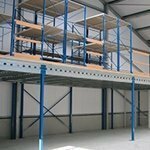 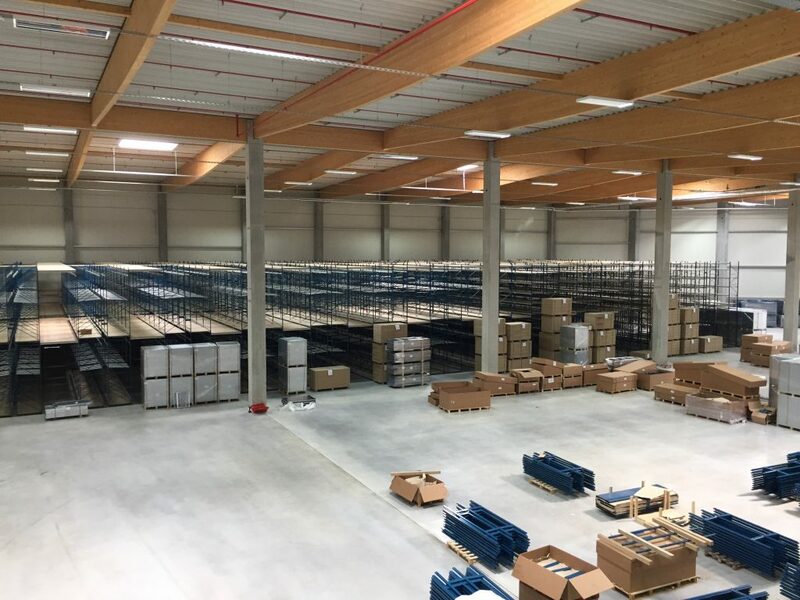 Europe Racking Multisystem shelving can be built three stories high, without needing to build any extra support structures. 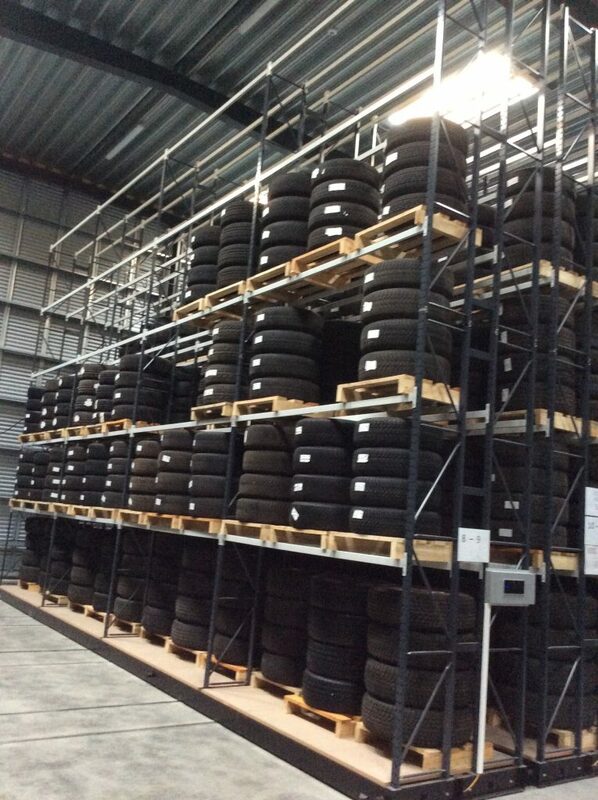 Small parts come in every possible size and shape. 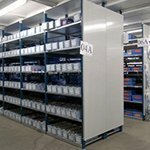 We have the fitting solution for your storage needs. 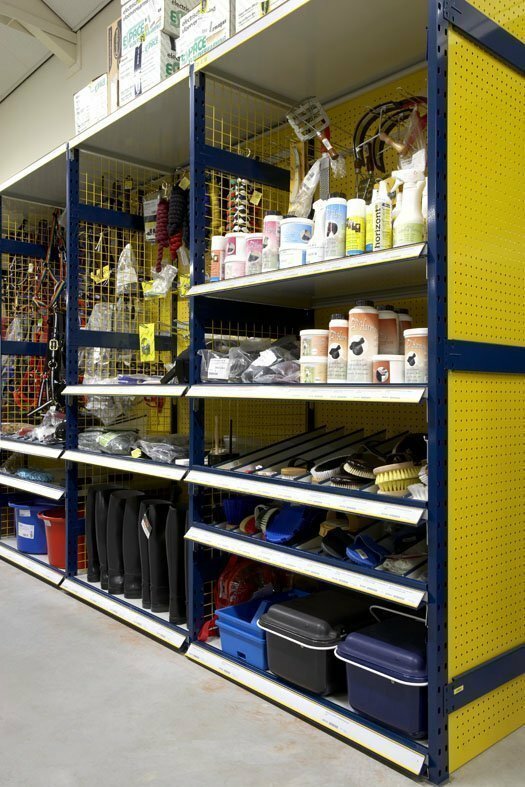 With plastic containers in different shapes and sizes, adjustable or fixed dividers, drawers and file storage bins we cover almost every storage need. 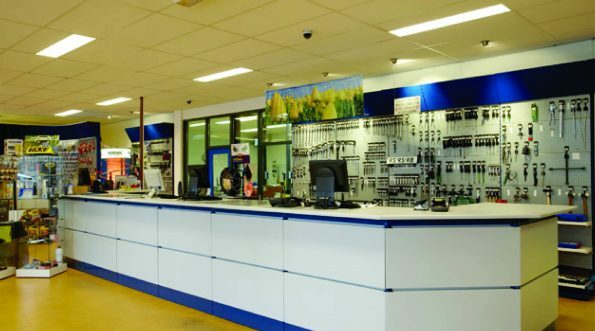 Perforated back walls, hooks and hangers, mounting clips, dust plinth and many other add-ons you can truly adjust you shop floor to your needs. 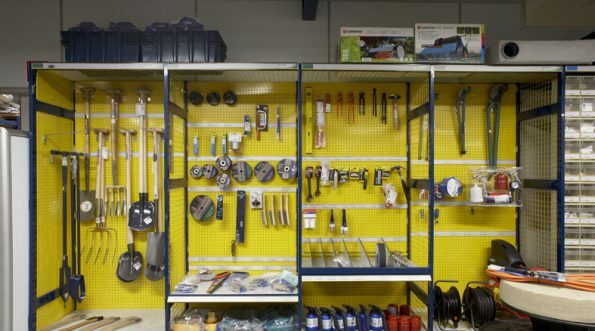 Use our magnetic labels for maximum flexibility in shop layout and adjustments.